This paradise, beautifully curved beach charms every visitor. 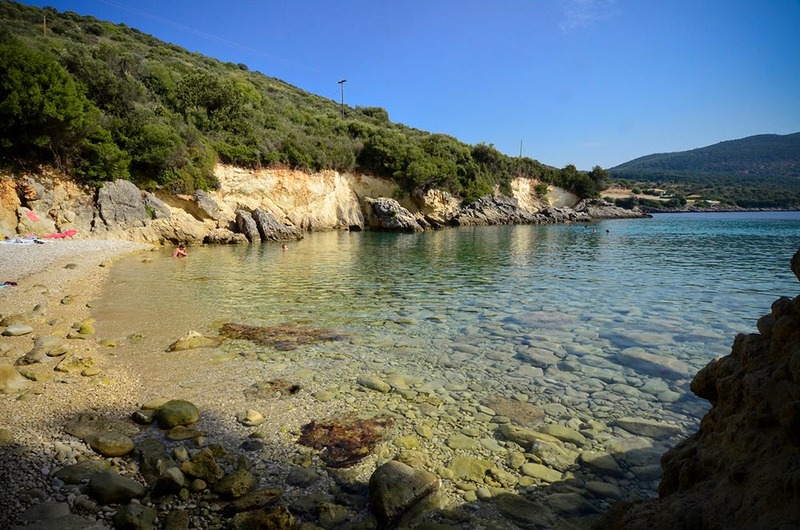 After a few steps from our Villa Kastri you will find the small beach. At least once you should visit this dreamy beach in your holiday – it will be an unforgettable experience! This beach is located directly at Villa Kastri. Enjoy this unique place with your friends or family. This beach is located directly at Villa Kastri and is accessible via a few steps. The water is crystal clear so you can experience the wonderful underwater world. Amoussa is a small beach in the south of Lefkada, close to Vasiliki. The water is crystal clear. The beach of Amoussa is a preferred place by people with small children because there are no waves and it is quiet. This beach is about 1 kilometer away from Villa Kastri. This beach is preferred by families with small children because there are no waves and it is quiet. This wonderful beach can be reached by foot within 10 minutes. Since this beach is a secret tip, there are not many visitors. The beach of Porto Katsiki is one of the best rated beaches on the island. Porto Katsiki offers perfect clear blue water and shady corners created by the majestic cliffs. Porto Katsiki beach looks truly fascinating surrounded by incredible hills which make it accessible only by 80 steep steps descending along the cliff. This beach is about 25 kilometers away from Villa Kastri. This beach is one of the best rated beaches on the island, which will fascinate you with its clear water. This beach is located on the west coast of the island and is by car about 60 minutes away. From the cliffs you have a beautiful view of the beach as well as the surrounding area. 347 wooden steps lead down to this long stretch of white-sand beach bordered by elegant cliffs and picture-perfect turquoise waters. It is considered as one of the most beautiful beaches on the island and in Mediterranean as well. This beach is one of the most popular tourist destinations in Greece and in Europe as a whole. This beach is about 35 kilometers away from Villa Kastri. This beach is one of the most popular tourist destinations in Greece and in Europe as a whole. Over a few serpentines you reach this long, straight beach, which is well equipped with various taverns and beach bars. In the evening, the bay is a popular meeting place also for younger audiences. Rental of umbrellas and sun loungers is possible. This beach is about 50 kilometers away from Villa Kastri. In the evening, the bay is a popular meeting place also for younger audiences. This beach is located on the west coast of the island and is by car about 70 minutes away. This is one of the nicest beaches in Lefkada with brilliant crystal clear water and white soft sand. It is surrounded by white rocks that make a wonderful location. During the hot summer months, it is more convenient to take a boat from Vasiliki that departs from the little port, where restaurants and cafes are located. The ticket is affordable and you will gain more hours at this little paradise. This is one of the nicest beaches in Lefkada. It is surrounded by white rocks that make a wonderful location. This beach is located on the west coast of the island and is by car about 20 minutes away. While driving with the boat to the hidden beach, you have a beautiful view of the beach as well as the surrounding area.